Roderick Blockstone is a handsome young man who has it all - a beautiful, agreeable wife, a place in Parliament, and a large estate. But he's quickly reduced to a cantankerous young man when his beloved wife dies in childbirth. His one and only daughter, Ann, grows up willful and disobedient, brazenly ignoring the etiquette lessons given by her in-home tutor. Lonely and wild, Ann befriends Henry, the stable boy. Picking berries and chasing each other through mud puddles eventually transforms into young love. When a new tragedy visits the Blockstone Estate, Roderick finally finds it in himself to love and embrace his daughter and become the father his wife would have wanted him to be. But then he and Ann must learn the true meaning of love - the kind of love that spans both life and death. This was a beautifully written and read sad love story. If you want a great read and a good cry then this is the book for you. What did you love best about Ghostly Whispers of Love? It was a wonderfully engaging short story. I'd love to read more from this author as well has hear more from this narrator. What does Melanie Bales bring to the story that you wouldn’t experience if you just read the book? yes...and I would love to listen to/read a longer novel by this author as well. I received a free copy of this from the author in exchange for an unbiased review. Worth A Listen For Melanie Banes Performance! This very short story is less than 55 minutes long. I don't feel that I can add to the publishers summary without giving away or spoiling the book for others. *I was given this book in exchange for a review. I can say that this was smartly written, although some aspects delve into areas that are not to my liking/genre. The narration was very good. I think that performing the roles of children can be very difficult, and they can come out sounding like a cartoon character or worse. However, the two main characters in this book were children. Melanie Bales did make a difficult range of characters sound believable, unique, etc. She also had to perform adult characters from 30-year-old on up. A good job all around. A very good audiobook and very entertaining. My only negative thing to say is that it is very short. Enjoyable short story with paranormal elements. 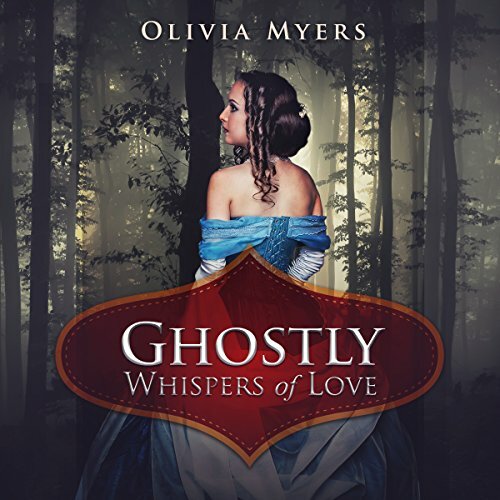 Ghostly Whispers of Love by Olivia Myers is an enjoyable historical romance with some paranormal elements in the form of a ghost. If I had to pick a theme or underlying “point” to the story it would be, enjoy and live life to the fullest each and every day because it may be your last. This short story centers around Ann, whose mother died in childbirth. Her grieving father, Roderick, rarely shows his daughter the time of day for 14 years. Although Roderick hires a governess to teach Ann in the ways of the world, Ann basically grows up unchaperoned for most of her life. As a little girl, she enjoys life to the fullest with all the pleasures and experiences the outdoors can bring. Having no friends her own age around the estate, Ann slowly becomes friends with the stable boy Henry, who is a few years older than she. Through the years they spend countless hours each day playing, and as they older, walking and exploring the grounds of the estate. So it comes as a complete shock to Ann when Roderick forbids Ann to see Henry any longer after he realizes how much time his daughter is spending with the stable boy. With this audio book running less than an hour long, Roderick’s ultimatum is pretty much the end of the story. I listened to the Audible version of this story narrated by Melanie Bales who did an admirable job. Her narration flows naturally at an even pace and she was easy to listen to. Melanie also has differing voices for all characters, male and female. I received a copy of this audiobook in exchange for an honest unbiased review.